Hilde always has THE cutest nails and she always does them herself. I think I might have to talk her into painting something fun on my nails for the 4th of July. If you want to give some fun nail art a try, like these nail art roses, she has a great tutorial on her blog. 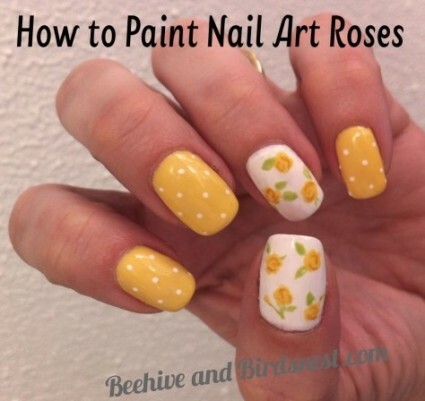 You can check out how to paint nail art roses over at Beehive and Birds Nest.